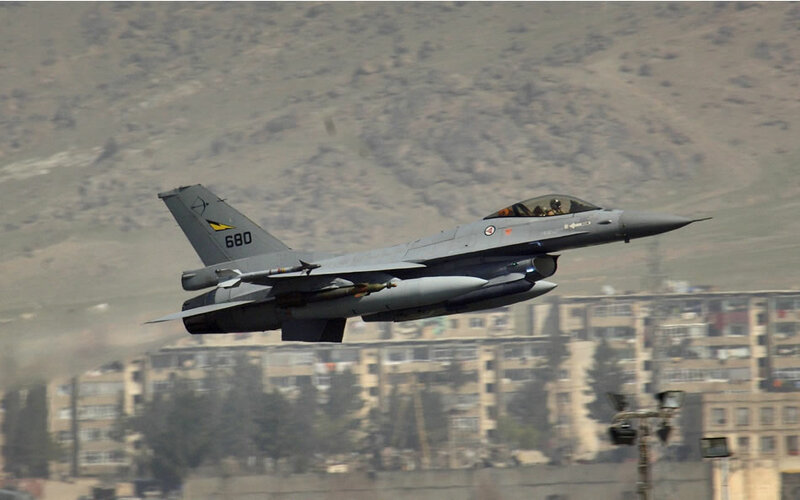 Royal Norwegian Air Force F-16 Fighting Falcon takes off on a mission from Kabul, Afghanistan. They are supporting security operations by participating in various ways, with the International Security Assistance Force (ISAF). ISAF's primary role is to support the Government of Afghanistan in providing and maintaining a secure environment in order to facilitate the re-building of Afghanistan. ISAF integrates its efforts with the highest levels of authority at the Government of Afghanistan, with the United Nations Assistance Mission to Afghanistan (UNAMA), with the Combined Forces Command-Afghanistan, the US-led Coalition, and with other actors of the international community.